Check back frequently to get updated. First of all I would like to make clear to everyone this is permanent content. This content is basically about catching mice all over the kingdom and collect Ancient Relic, while hunting at a specific place (this varies, will be explained later in this guide) with Ancient Relic in your inventory you will able to attract The Relic Hunter Mouse. You can then obtain the treasure map from them and hunt all the mice listed in the treasure map to get the treasure chest at the end of the hunt. There are 5 difficulties maps ranging from Easy, Medium, Hard, Elaborate, Arduous. More difficult mice are listed in harder maps, but they comes with better rewards. An optional thing that you could do to your treasure map is upgrading it to a RARE map by using a Rare Map Dust. The benefit of upgrading a map is that it will double the reward and increase the chance of obtaining rare loots. (Which during the current event, it will increase the chance of dropping the LE trap) This Rare Map Dust can be obtained either from donation or the market place. 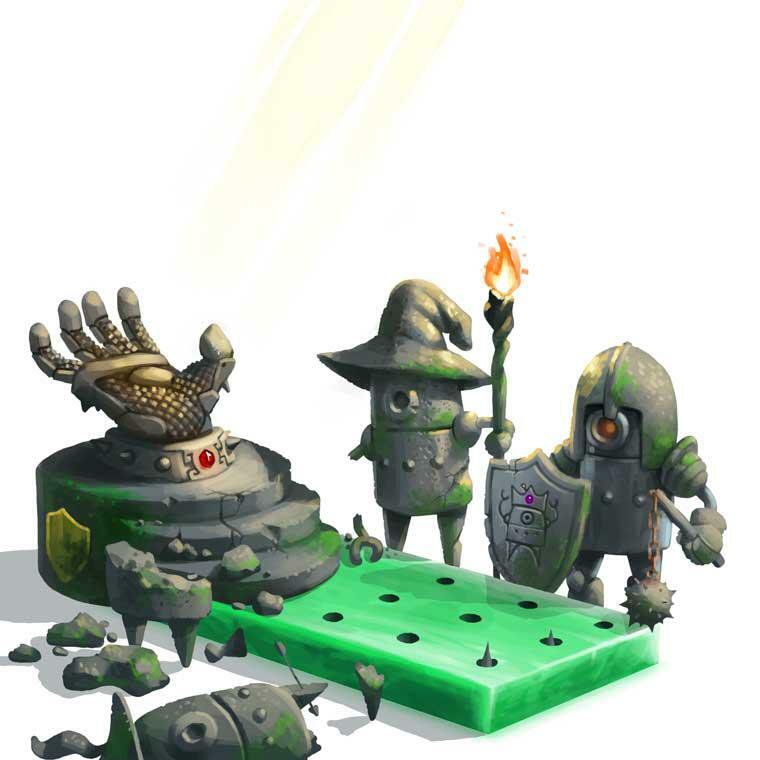 Ancient Relics are stored in your collectibles section of your inventory. The above mice will have a chance of dropping Ancient Relics. So collect 1 to 2+ , however it depends if you were looking for a good treasure map or if you don’t really mind what map you get from the Treasure Map Scroll Case. So if you want to hunt for a good map for make your treasure hunt easier, you might want to get a few Ancient Relics and hunt down a few Treasure Map Scroll Cases and open them up until you get the treasure map that you want, else you will only need 1 Ancient Relics to obtain 1 treasure map from the Ancient Relic Hunter. This is recommended because the mice are relatively easy to catch while there are 4 mice that drops Ancient Relic while you are doing a “Acolyte Hunt”. However the down side to this is you will require Ancient Cheese and Runic Cheese. If you have difficulties with obtaining a good supplies of these, other areas might be better for you. Upon catching the Ancient Relic Hunter you will lose 1 Ancient Relic and leave you a Treasure Map Scroll Case. Opening the Treasure Map Scroll Case you will obtain a treasure map or if lucky some Rare Map Dust as well. This map can vary between Easy, Medium, Hard, Elaborate and Arduous and each of these maps can be upgraded by using the Rare Map Dust (Dust can be obtained from donation, the market or Treasure Map Scroll Case). Upon upgrading you will get double the reward and increased chance of rare loot. If your rank is Baron+ you have a chance of getting the Living Garden Scroll Case upon catching the Ancient Relic Hunter. Opening this will give you a Living Garden treasure map. This map can also be dusted with a Rare Map Dust into a Rare Living Garden treasure map. With the map dusted the reward is doubled. You can also hunt with 4 of your selected friends. By completing the treasure hunt together all your friends will get the reward. To obtain the treasure chest you need to catch every mice listed in the treasure map description. Each mouse you catch on the list will give you a clue to the final treasure. Note: The list you get from the treasure map is randomly selected from the listed mice below in each map difficulty. Analyse the list and group the mice base on areas. Plan out what each of your friend should focus on, spread your friends out to focus on each particular area. SB+ is required, so make sure at least 1 or 2 of your team mates are willing to use some SB+ on certain mice on your list. If obtained an Elaborate or Arduous map and you have the spare gold, you should use a Rare Map Dust on the map to get a great amount of rewards. Any type of Treasure Map has a chance of finding a Treasure Chest containing this trap! Using Rare Map Dust to upgrade your map to a Rare Treasure Map more than doubles your chance! This long-forgotten trap can lend much-needed aid to hunters attempting the long climb up the King’s Gauntlet. While the statues may look dormant and docile, one of them has been secretly replaced with an incredibly patient hunter droid. Let’s see if the mice notice! Tier 1 mice caught with this trap will be so frightened, they’ll drop two Tier 2 Gauntlet potions! In my view the rare treasure map should be named hard treasure map. Whenever you upgrade your map with rare map dust, it will turn into rare…map. There are 2 more maps, arduous and elaborate. your rare treasure map mice doesn’t match mine…so perhaps it is randomised? 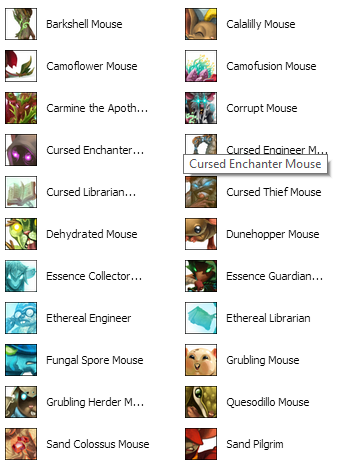 It pretty much is generated from a list of mice, it only pick a fix amount of mice from that list for a treasure map. So they are all randomized. I am just listing the possible mice that might appear in your treasure map. Thanks for sharing this information with us, I will return every month to read more. black widow is definitely not a superbrie only mouse: use gnarled in the lagoon or radioactive blue in the lab/catacombs. Your hard treasure map list is missing the nibbler mouse. As being stated, those are just for illustrations, isn’t a complete list. does the limited edition trap still available?? is the living garden scroll permanent? I meant not “permanent” in Inventory, Is the Loot from Relic Hunter is permanent? Seems like the link to “Step 1 – Ancient Relic Hunt” isn’t working. Mind if you check on that? Thanks! Say, is the Ancient Gauntlet trap still available? How long will this be available? Will it ever expire or stop dropping? It is planned so it will be gone in the future, but when is still unknown. BTW LG maps don’t come in different difficulties and thanks for the list, will add it in. Keeper Mouse – Ancient Potion | Coal | Corrupted Radioactive Blue Potion | Keeper’s Candle | Plankrun’s Journal Cover……. I don’t think that is what it is suppose to say is it? in addition i went on a tourney a few days ago and the relic hunter showed up. I received 11 treasure maps and 2 LG maps in 6 hours… mean developers.. Cool thanks for letting me know.